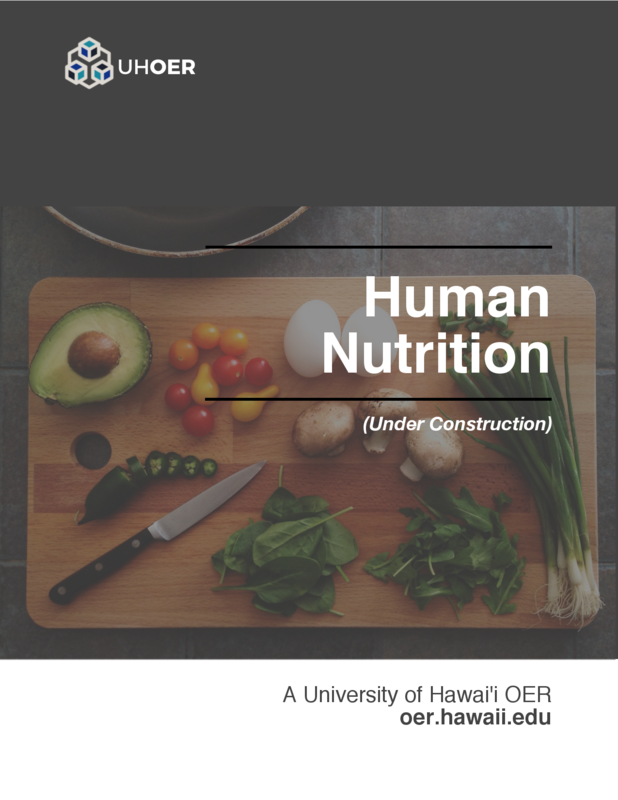 Human Nutrition [DEPRECATED] by University of Hawai’i at Mānoa Food Science and Human Nutrition Program is licensed under a Creative Commons Attribution-NonCommercial-ShareAlike 4.0 International License, except where otherwise noted. This Human Nutrition OER textbook includes chapters and passages from a number of OER sources including OpenStax, FlatWorldKnowledge, and CK12. All new content added to this book is licensed under a Creative Commons CC BY 4.0 license, while select chapters have been used and are shared under a CC BY-NC-SA license. All other content not under a CC is used fairly and is labeled as such.